Watching the different screens with the exact same contents with no delay! I was at a bistro for the FIFA World Cup’s final. The bistro has a big lounge, a few tables, and a private space. There is a big projection screen on the wall in the lounge and the private room has its own TV. As my friend had booked a private space for us, we had our own 60” TV and tables. At half-time, I found that the projector was playing from a laptop while our TV was running cable This made me wonder that if the TV and the projector could have been connected from the same input source by using a splitter, there would not have been a delay between both screens! A splitter, also known as a distribution amplifier, is a device that can distribute one input signal (audio sources and video sources) to multiple output ports simultaneously. 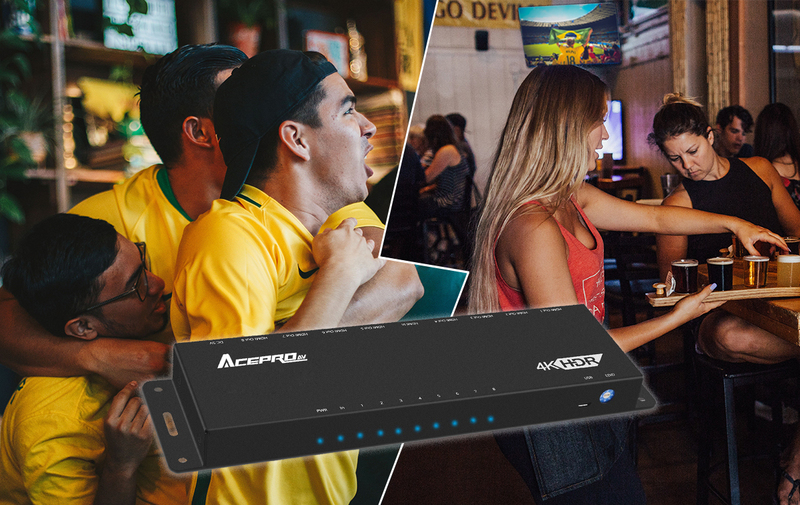 A HDMI splitter is often used in environments that need multiple output devices with one single input signal such as restaurants, stores, classrooms and convention centers. According to the example picture above, a HDMI source is connected to the splitter and the splitter will duplicate a signal from the input source and transmit it to the output ports. 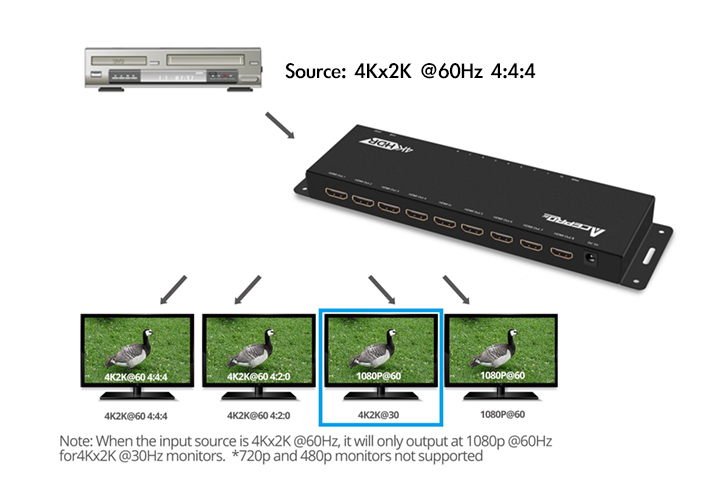 For instance, if the input source is 4K2K@60Hz, the output ports will also be 4K2K@60Hz. Although dividing signals may cause signal losses, the splitter will compensate the losses to maintain the same quality. It should be noted that if a splitter doesn’t have a video downscaling or EDID(Extended display identification data) function, output devices must be able to support the exact same quality of a signal from an input source. 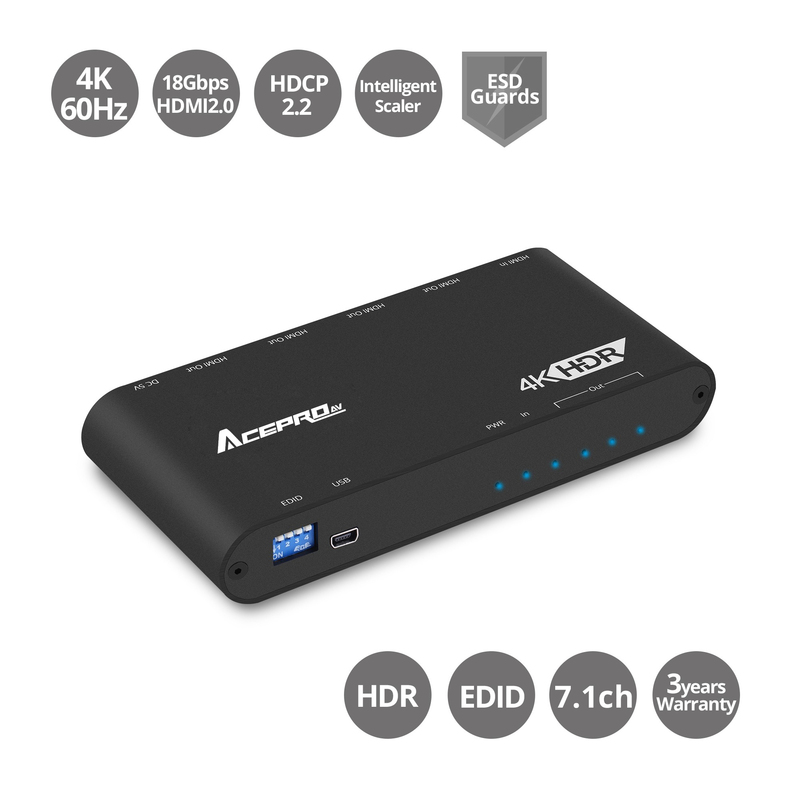 As the instance above, if the input signal is 4K2K@60Hz and the output monitors can only support 1080p; there will be no display on output monitors. Users can use EDID to adjust the signals to the applicable resolution for the output devices. 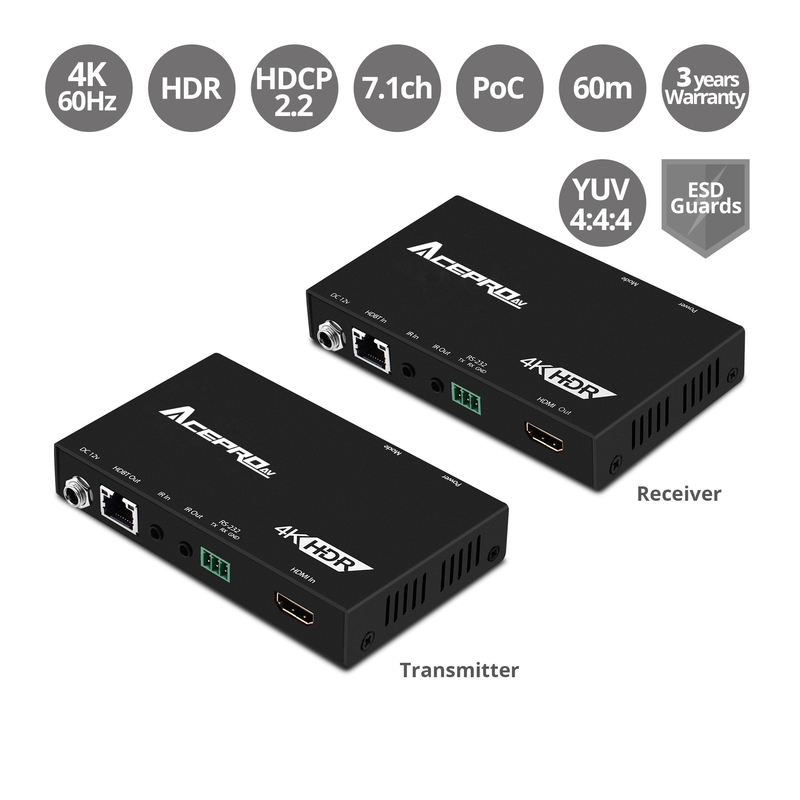 Take the bistro situation above for an example, if the projector only supports 1080p and the TV can support up to 4K2K@60Hz, and input signal is 4K2K@60Hz, then users can use EDID to downgrade the signal to 1080p. Therefore, the projector and the TV can both broadcast at 1080p. 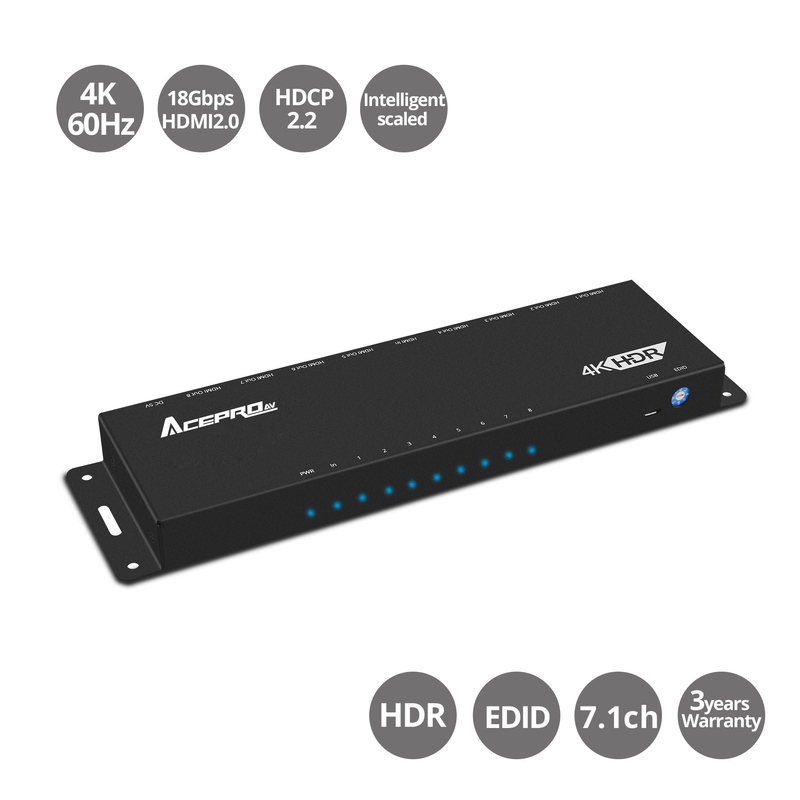 Choosing a splitter with video downscaling function can let a splitter detect and configure the video resolution automatically according to the capabilities of each connected monitors. 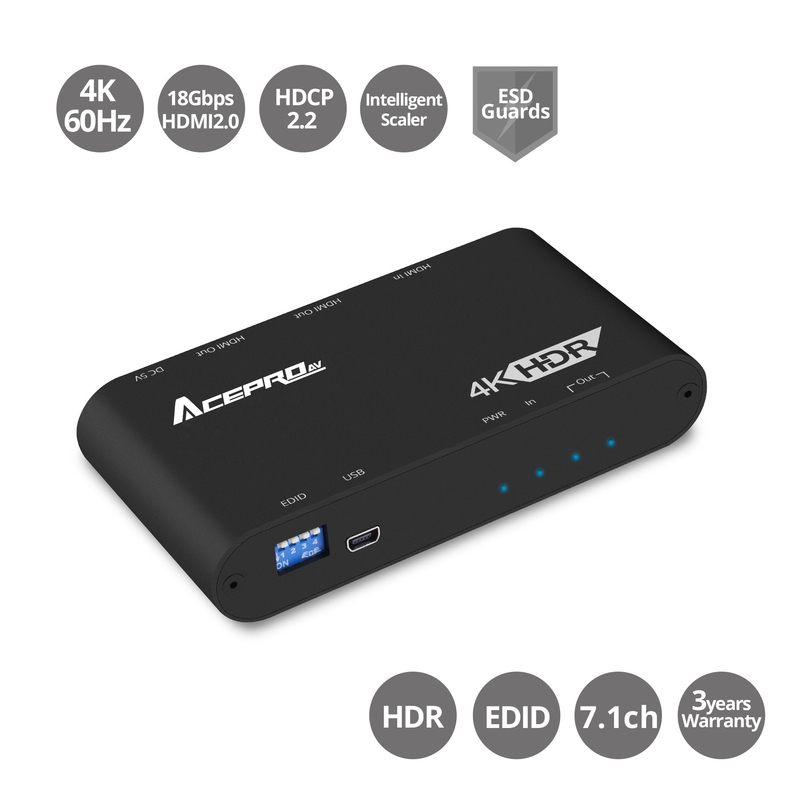 So the splitter will automatically send a signal with 1080p to a projector and 4K2K@60Hz to the TV. 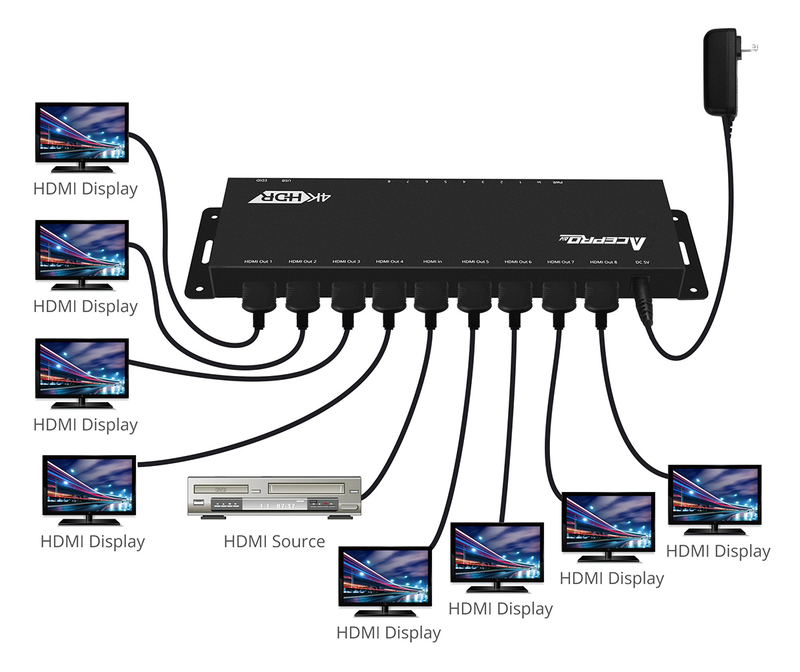 After knowing how a splitter works and which parts should be considered, there are some criteria for everyone to factor in when choosing HDMI splitter. How to choose a splitter?